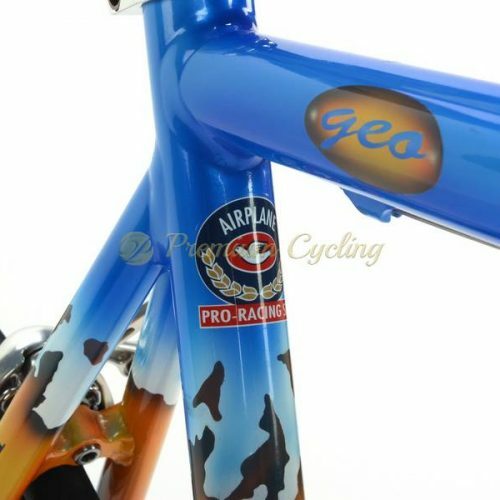 Happy to offer this legendary steel machine, the Ugo De Rosa‘s masterpiece from late 1970s. 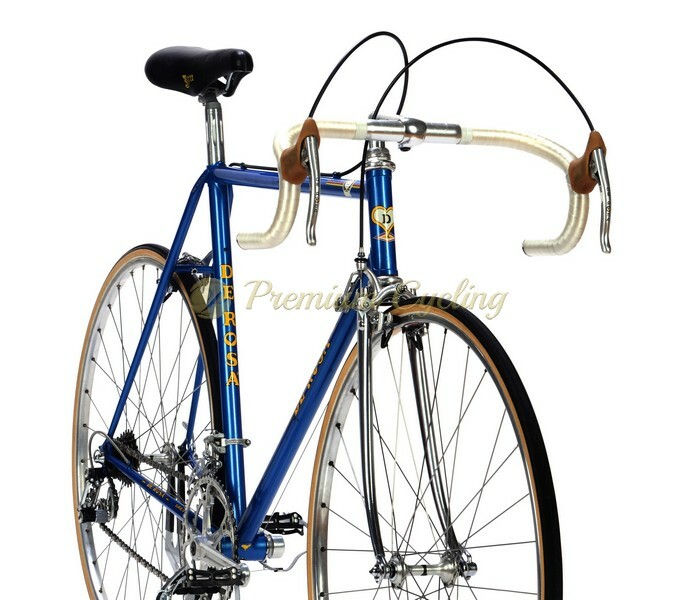 The frame is work of art, made of Columbus SL tubing, featuring the perfection and attention to details for providing the best performance you might expect from late 1970s racing machine. Equiped with iconic Campagnolo Super Record groupset (PAT.78) with beautiful DeRosa pantographed brake levers & chainring, 3ttt DeRosa cockpit and new old stock saddle. Iconic and highly collectible. L’Eroica ready. Condition: Used, but in good condition. The frame has no dents, no rust and is not bend. Original paint and decals. Chrome is in very good condition. Groupset and wheelset are in very good condition. All parts are working fine.